I am an adventurous woman who uses high contrast, texture and earth-tones to create feminine, artsy designs with a Southwestern influence. My pieces are designed to finish off an overall ‘look’ … and draw compliments! Jewelry design just meandered into my life gradually.. My first designs were the memory wire bracelets. The multiple coils make them so much fun to wear and the design possibilities are endless. Then I began seeing other possibilities and design that ‘needed’ to be unleashed! 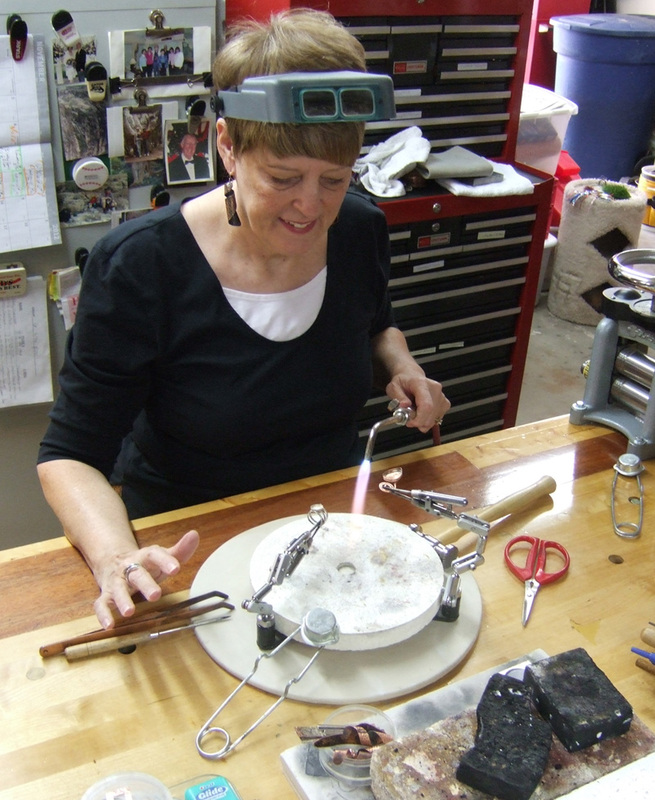 I took lots of classes, starting with the basics of wire wrap and gradually morphing into the metal work. Once I started with metals (silver and copper) I was completely hooked and there was no turning back. Gems and metal became a permanent part of my existence. Design ideas were everywhere! My niece asked me once how I came up with so many different designs. I thought about that and answered, ‘The ideas keep coming and literally won’t stop. My head spins sometimes with the possibilities. Presently I am obsessed with an new gemstone I found while attending the Tucson Gem Show last year. I am also having fun creating new copper designs. Copper is so much fun to work with. Heating it and watching the results is inspiring. Last year I published a book ‘Inside the Mind of A Jewelry Designer’ chronicling my journey into passion and creativity. I am so pleased with the outcome. This was a labor of love,… and in itself another emotional journey for me. 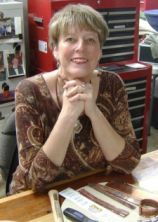 I work on my creations in my Arizona home, while maintaining my career in marketing. My cat Button ‘helps’ me as well. Do you have any ideas for new designs or questions about design process? Please email me at alene@alenesadornments.com. I would LOVE to hear from you! Hi Alene! I love your jewelry. So much to see. I love the idea of the “Take a Risk” collection. That’s why I’m not so into pottery—too many ways to mess it up. Thanks for following my blog. I look forward to reading yours. thanks for the comment. With pottery you have the ‘breakage’ issue too. I dont know much about it but wonder if you can reuse the silt again once it has been fired? Probably not. At least with metal I can reuse much of it and always turn in for scrap value.